What’s in the New Seattle Department of Neighborhoods Newsletter? Some changes have been made, including a new series called “Hey Neighbor,” introducing the DON staff making it happen. 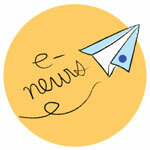 Each Newsletter has all the news that is the news organized by South, Central, and North areas. Plus a lot more. The new newsletter is available by subscription. Sign up, and get ready to mark your calendar! If you have feedback, questions, or news tips, please reach out to the Department of Neighborhoods by email. Seattle DPD (formerly Seattle Department of Planning and Development) has a convenient online map application, Shaping Seattle: Buildings. The map provides the locations and detailed information on active Seattle development projects that require design review. Whether it’s in your neighborhood or elsewhere, this mobile-friendly map encourages all users to comment on proposed projects, fostering a more transparent design review process that values public outreach. Users of the map can view/download each project’s design specifics, illustrations, permit statuses and upcoming community meetings. Visit the map. Scroll north to see North Seattle projects and status. Check it out! North Precinct is responsible for the city north of the Ship Canal to 145th Street (City Limits) and from Puget Sound to Lake Washington, broken down into Sectors and Beats. The 51 police beats in five police sectors, Boy, John, Lincoln, Nora and Union, reflect population trends. You can check out what’s happening in your area on TweetsbyBeat on Twitter. North Precinct’s Community Police Team (CPT) is availabe to help you with problems or questions. Find your CPT Officer. Here is a map showing CPT officer assignments by area. The monthly NPAC Meeting is usually scheduled for the first Wednesday and NPAC Minutes are published promptly each month. Read the current NPAC Meeting Minutes. Green Lake Community Council © 2016. All Rights Reserved.